While most of us experience an occasional gritty feeling in our eyes, a few quick blinks will generate enough tears to refresh our eyes and get rid of the sensation. For those who suffer from chronic dry eye/ dry eye syndrome, the situation is very different. That gritty sensitive sensation and accompanying squint are constant. No matter how much they blink, that wave of cleansing refreshing tears never comes, or if they do they are insufficient to make the discomfort go away. Dry eye is a problem with the way your body generates the tear film that is vital to cleansing your eye and protecting your cornea from infection and abrasions. Usually, your body is either not producing sufficient tears to do the job, or the tears you are producing are of poor quality and cannot maintain the healthy tear film in your eye. 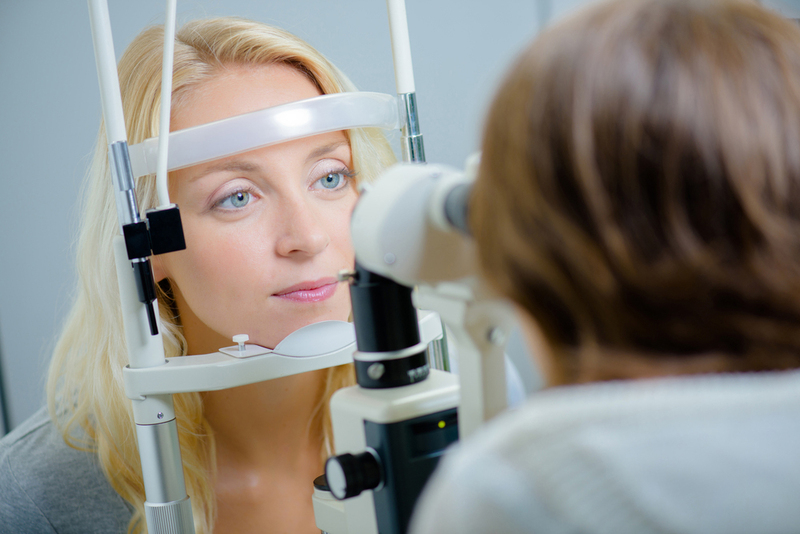 A comprehensive eye examination will be performed. This includes discussing your symptoms, medications you take, your overall health and any pertinent family history. Irritation and discomfort from dry eyes affect every aspect of your life. It can lead to decreased work performance and avoiding recreational activities the rest of your family enjoys. If you think you may be suffering from dry eye, the friendly teams here at Eyesite Texas are ready to help.Call us in Katy at 281-644-2010 or our location in Houston (Memorial) at 713-984-9144.